Jonah & Co decide to spend the winter in Pau in the French Pyrenees. Their journey is an eventful one to say the least, since Berry takes the wheel and attempts to navigate narrow French back streets after only three driving lessons. Winter in France suits them perfectly, but disaster strikes when they run out of English cigarettes. It falls to Berry to furnish new supplies from home, but how to evade the vigilance of the French customs? Berry chooses pepper ... with not quite the results he expects. 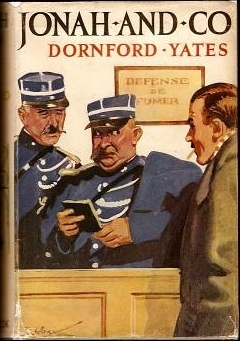 Dornford Yates was the pseudonym of the English novelist, Cecil William Mercer (7 August 1885 – 5 March 1960), whose novels and short stories, some humorous (the Berry books), some thrillers (the Chandos books), were best-sellers in the 21-year interwar period between the First and Second world wars. 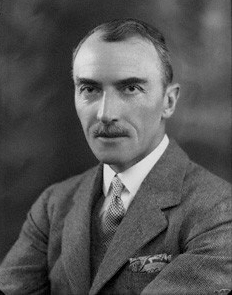 The pen name, Dornford Yates, first in print in 1910, resulted from combining the surnames of his grandmothers – the paternal Eliza Mary Dornford, and the maternal Harriet Yates. Mercer originally wrote short stories for the monthly magazines. His first known published work, Temporary Insanity, appeared in Punch in May 1910 – this is the first known occasion of his use of his pen name – and his second, Like A Tale That is Told appeared in the Red Magazine in July 1910. The first known Berry story to be published, Babes in the Wood, appeared in Pearsons Magazine in September 1910. None of these early stories was ever included in his books. Many of his works began as stories in the Windsor Magazine, before being collected in book form by the Windsor's publishers, Ward Lock. Between September 1911 and September 1939 he had 123 stories published in the Windsor, and after it closed, the Strand Magazine carried three of his stories in 1940 and 1941. Four of his novels were serialised in Woman's Journal between 1933 and 1938. In the United States four of his novels were serialized in Woman's Home Companion between 1933 and 1939, while others appeared in The Saturday Evening Post and Blue Book.--Wikipedia. Epub 20150307.epub If you cannot open a .mobi file on your mobile device, please use .epub with an appropriate eReader. Mobi/Kindle 20150307.mobi Not all Kindles or Kindle apps open all .mobi files.